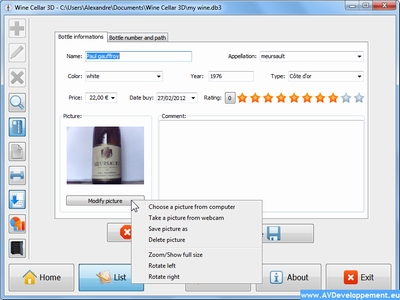 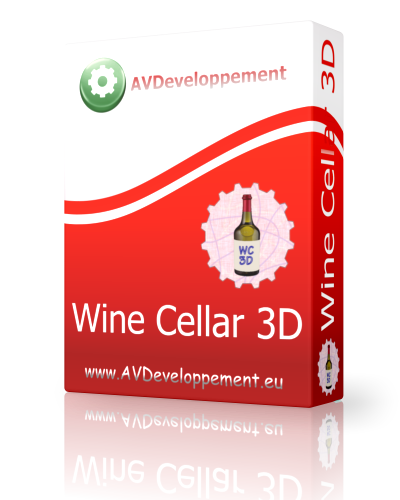 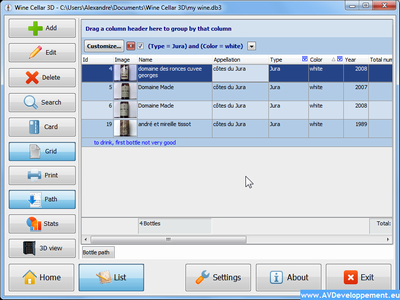 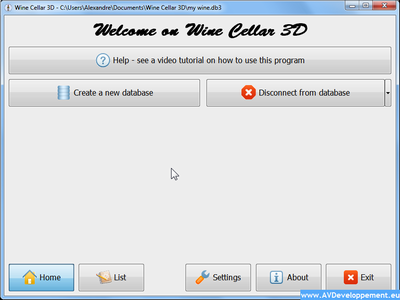 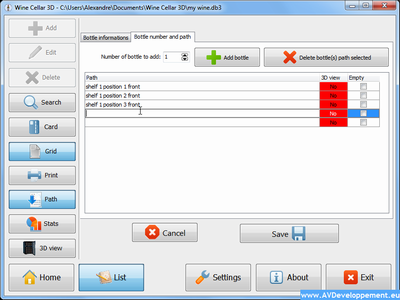 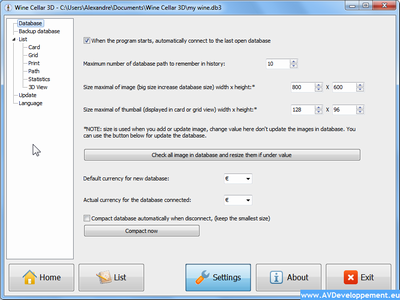 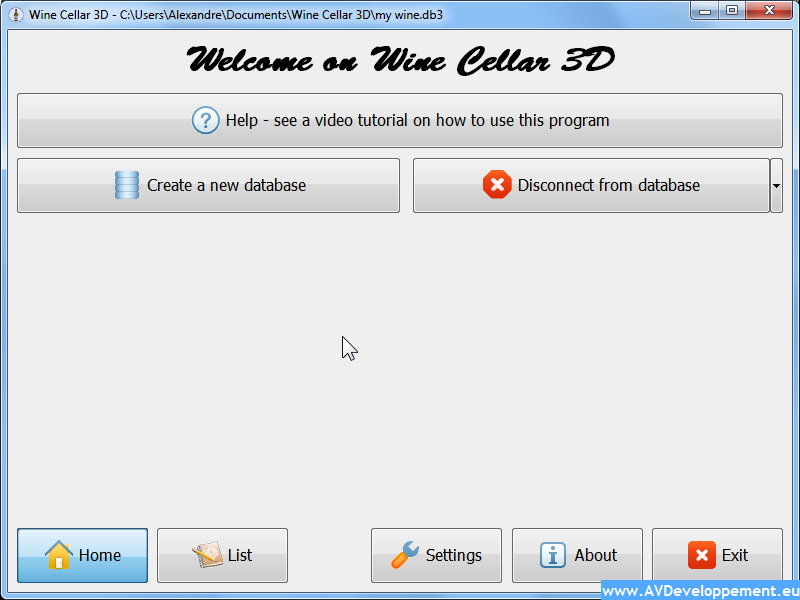 This software is designed for owners of one or more wine cellars but not only. 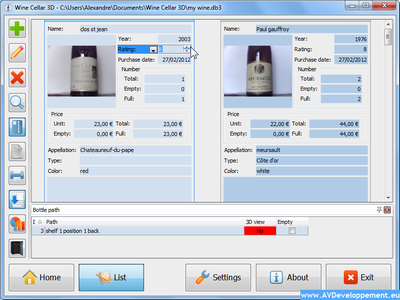 You can manage your stock bottles, and their location. 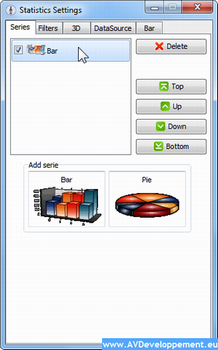 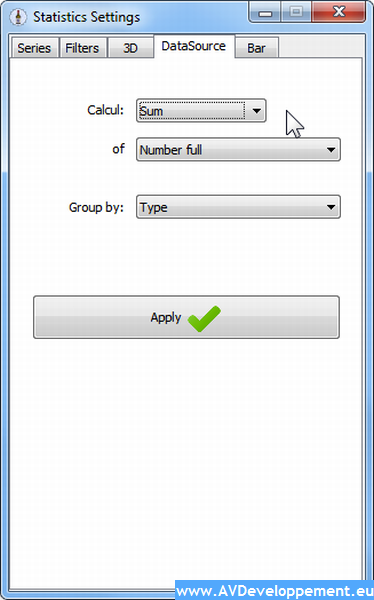 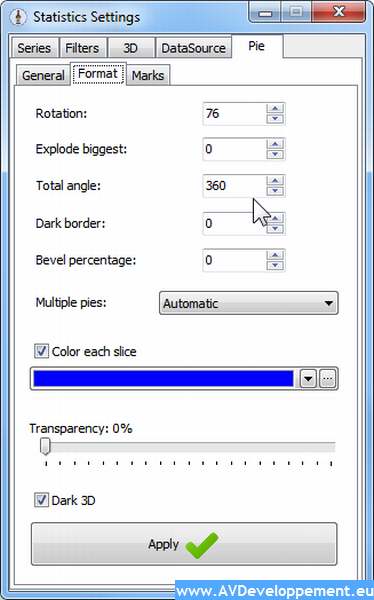 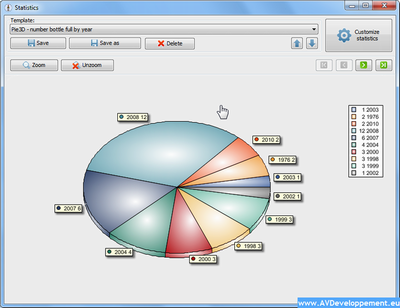 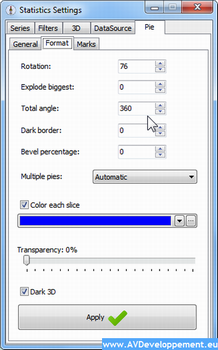 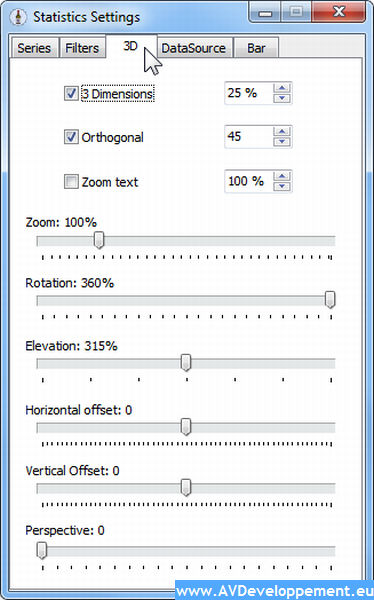 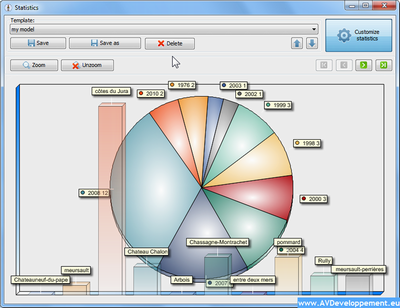 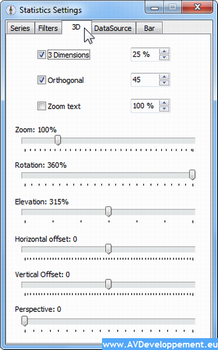 models for quickly choose a preconfigured graphical statistics. 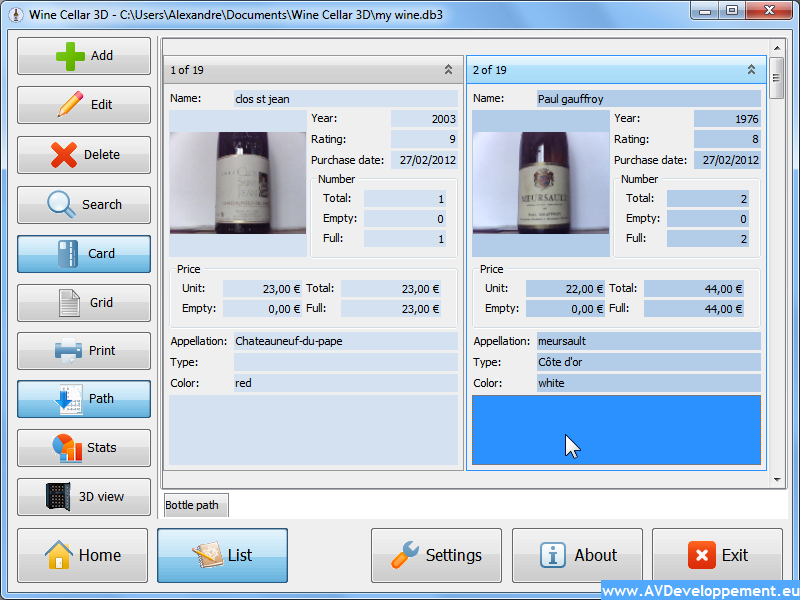 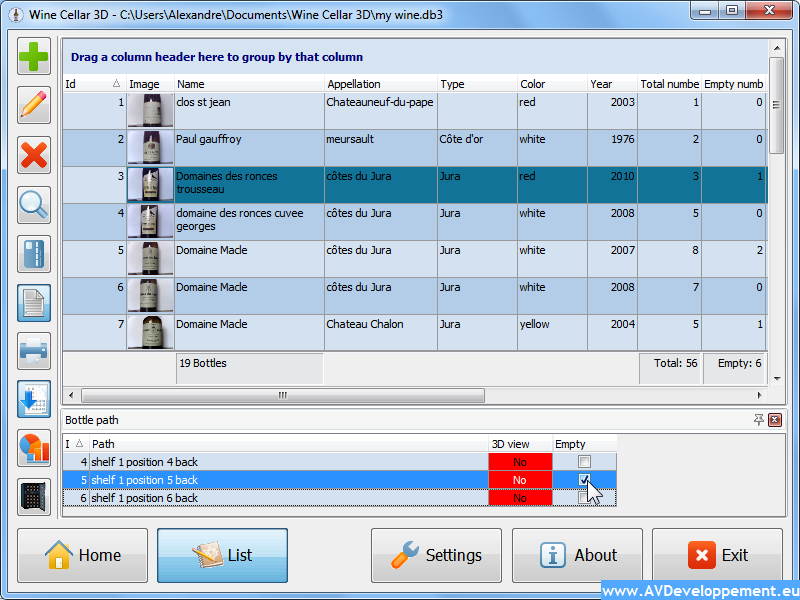 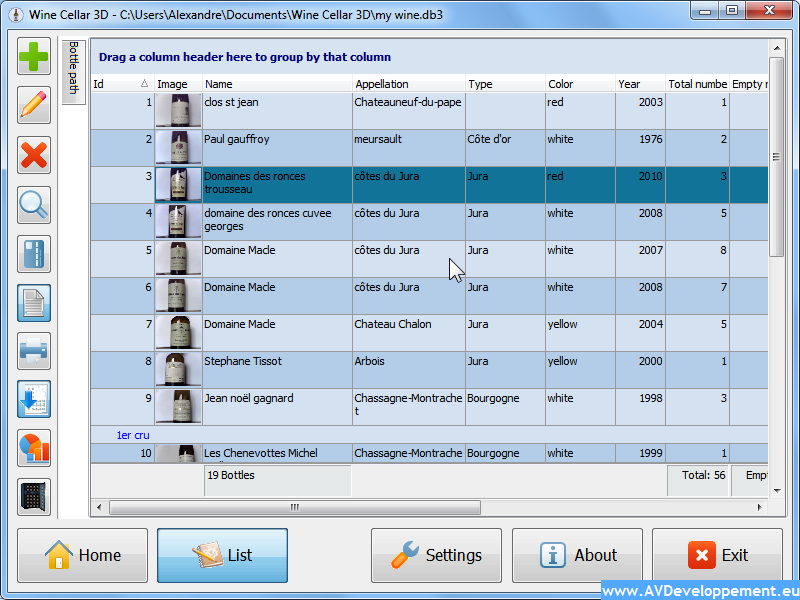 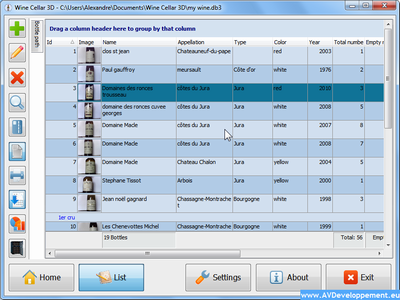 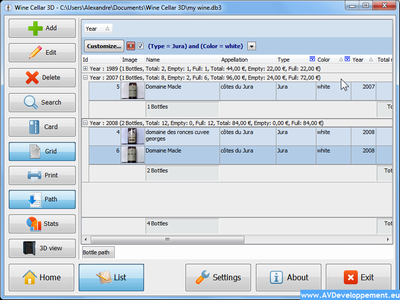 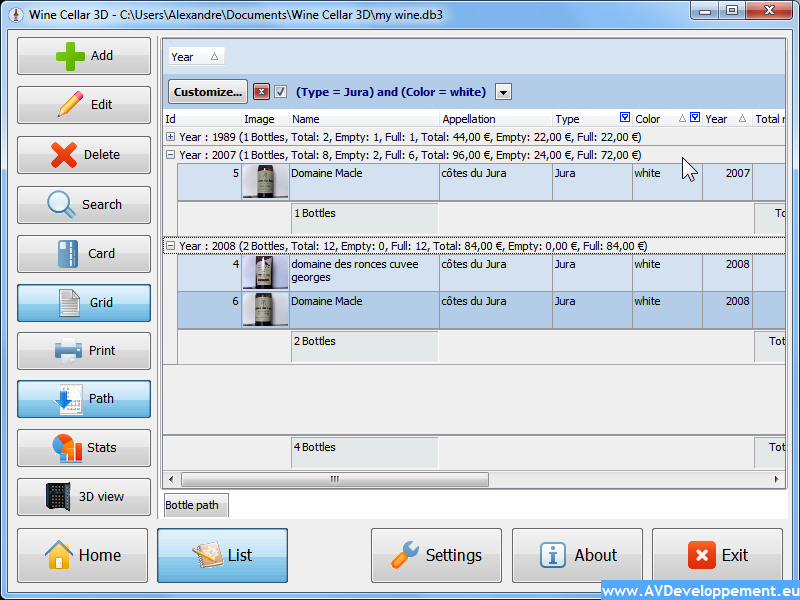 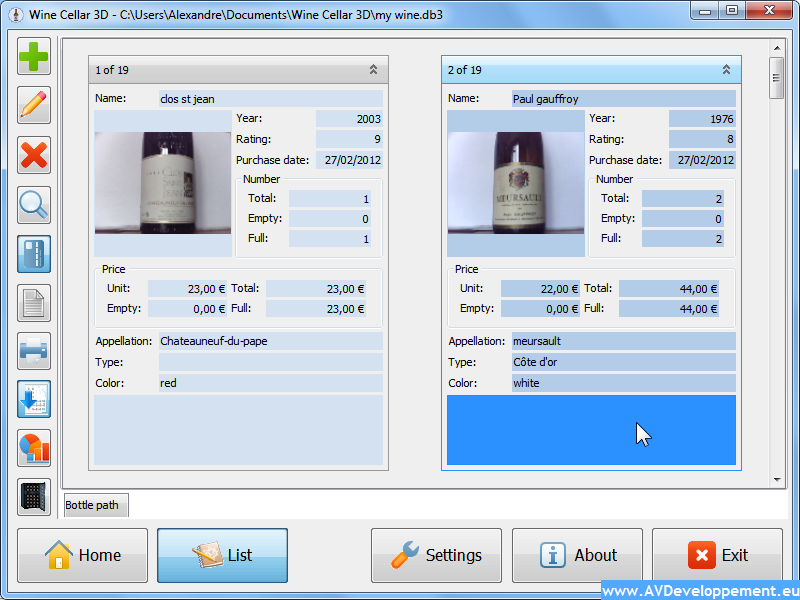 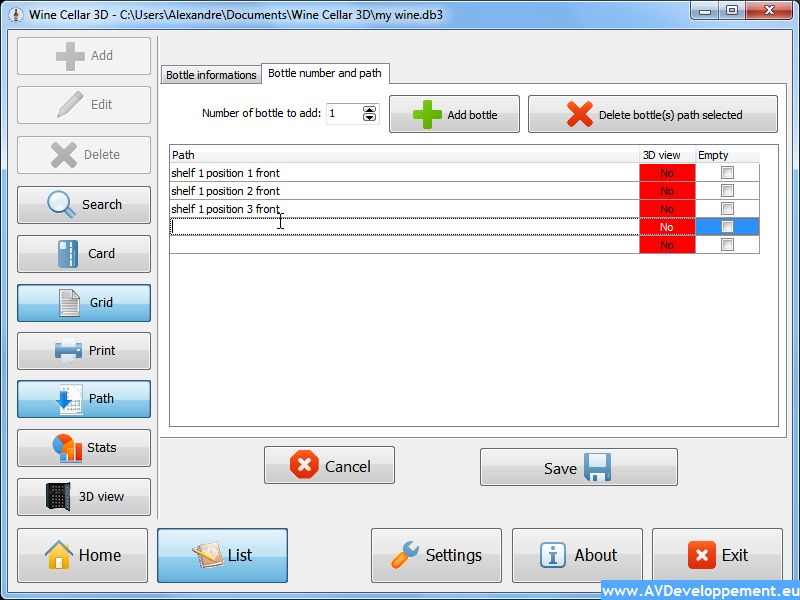 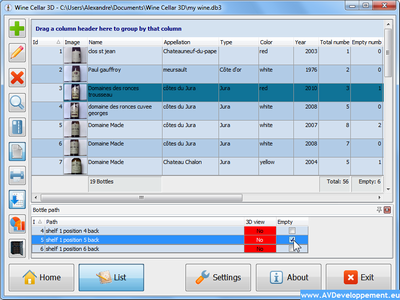 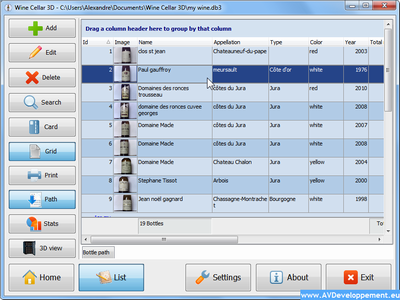 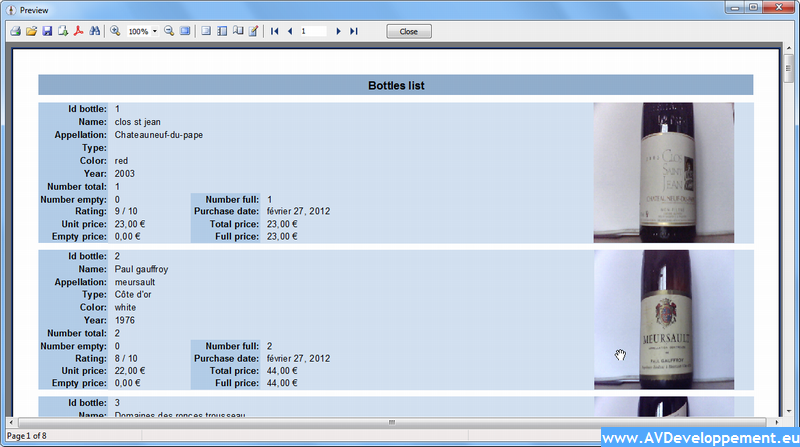 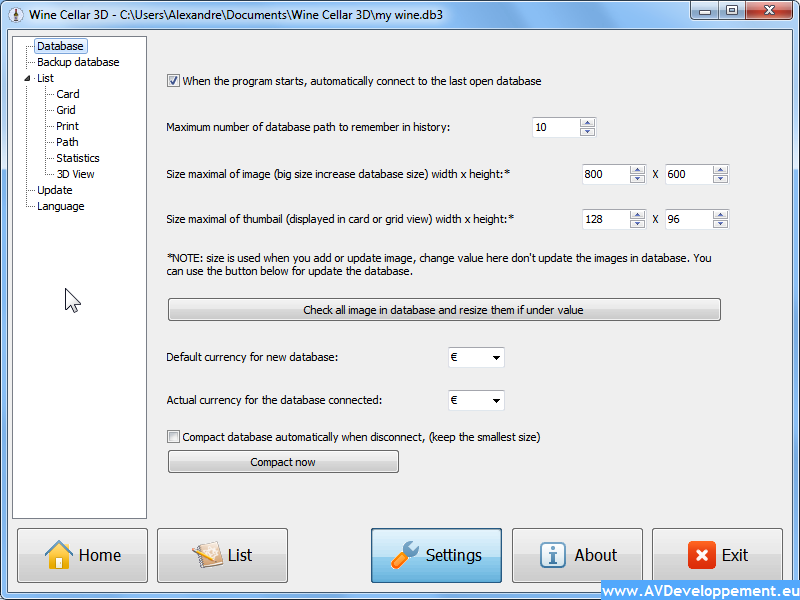 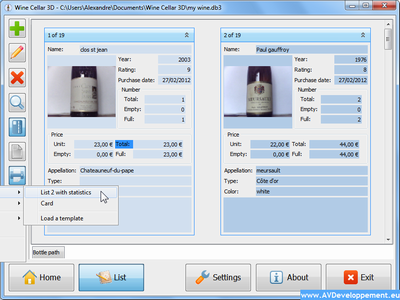 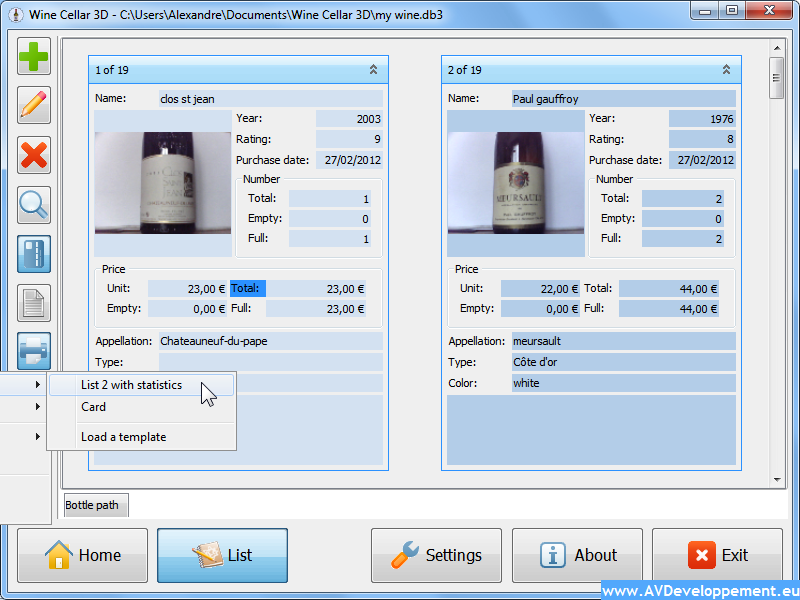 The list of bottles can be displayed in a grid or card highly customizable that can be quickly changed by using models. Do not waste your time looking for your bottles, recovered quickly with the Wine Cellar 3D. 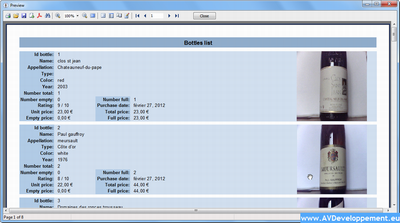 View as grid or card, with lots of customization possibilities. 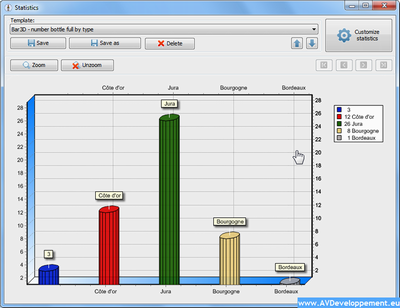 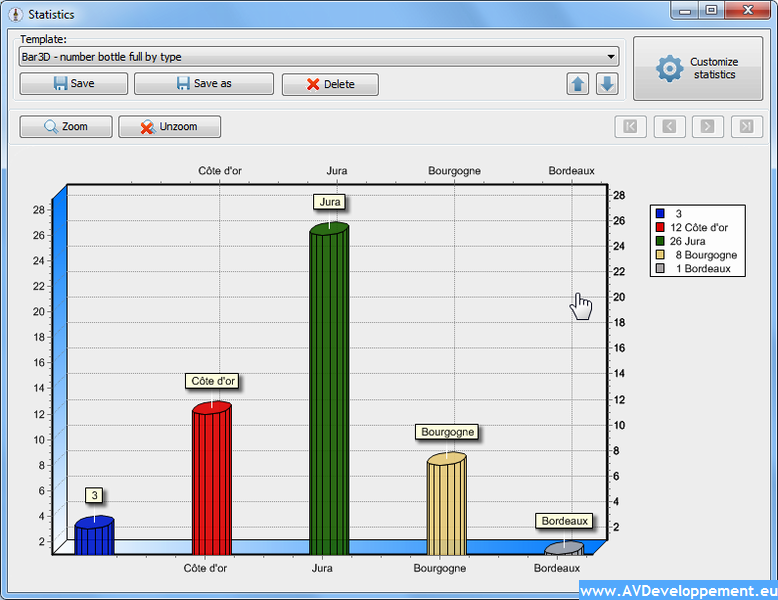 Customizable 3D statistics, many models available. 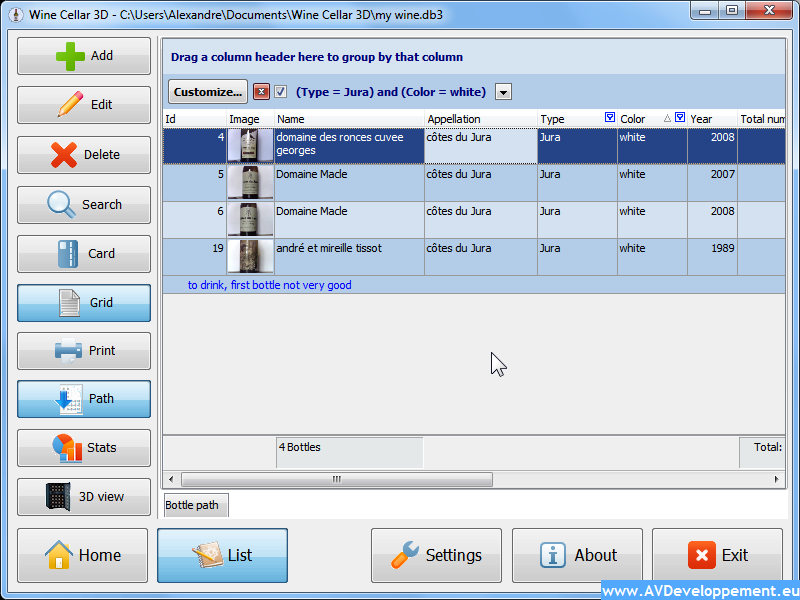 Advanced Data Filtering for a easy research. Export format PDF, HTML, JPEG, BMP, GIF. Backup database locally and/or on internet (FTP(S)). 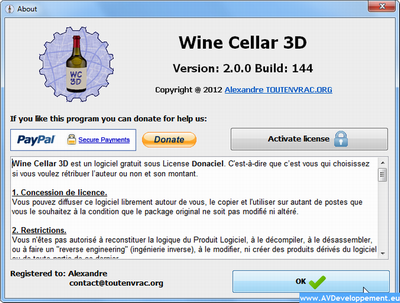 Under Donaciel license, it's your choice if you want to reward the author or not and its amount.